According to numbers from the Federal Motor Carrier Safety Administration (FMCSA), there were 4,079 fatal crashes involving large truck or buses in 2016. 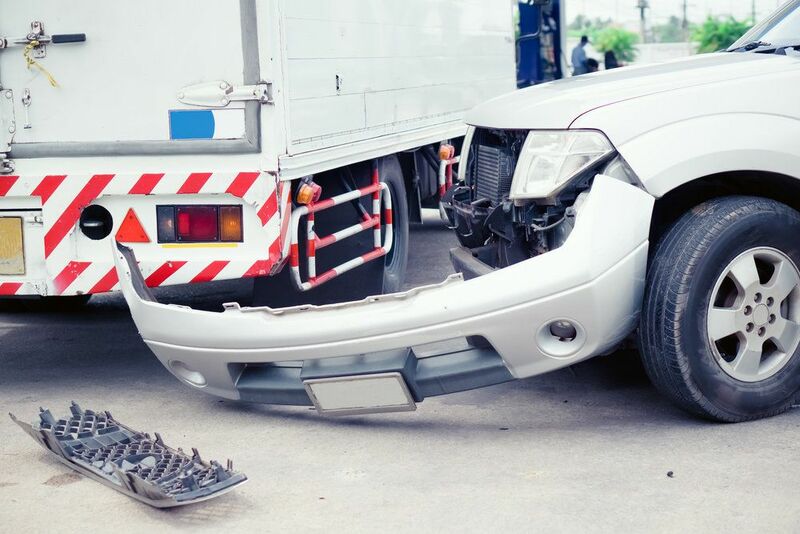 The amount of force generated in a collision with a large truck can be tremendous, resulting in catastrophic harm to the occupants of a passenger vehicle. The Scranton, PA attorneys at our law film have seen how deadly and tragic truck accidents can be, which is why we always stand diligently with our clients. The team at Foley Law Firm would like to consider the nature of underride truck accidents. They are quite dangerous, yet many motorists are not aware what these accidents entail and why they are often fatal. An underride truck accident refers to instances in which a passenger vehicle collides with the back or side of a tractor-trailer truck. Since the trailer is raised off the ground, the hood of the vehicle travels under the trailer. The windshield and roof of a vehicle collides with the bottom of the trailer, potentially shearing off the roof of the vehicle and causing severe injuries to any occupants of the vehicle. When the bottom of a trailer collides with the windshield and roof of a vehicle, any occupants within runs the risk of suffering severe and fatal head trauma. If the vehicle occupant survives, the impact is enough to cause lasting brain damage, paralysis, and other types of catastrophic harm. According to the National Highway Traffic and Safety Administration (NHTSA), approximately half of all fatalities in crashes between a passenger vehicle and a large truck are the result of an underride collision. This is why it is so important to give vehicle ahead of you ample room in case of sudden stops and traffic mishaps ahead on the road. These kinds of T-bone collisions can be especially deadly, which is why it’s important to pay attention to the road up ahead. If guardrails are put in place, the severity of underside truck accidents can be prevented. These rails stop passenger vehicles from traveling under the trailer portion of a large truck. These protective rails are not currently standard, though there has been some push toward their use since they can save countless lives. Who Is at Fault in These Kinds of Crashes? Determining liability in these kinds of large truck crashes will require looking into the evidence of the case and the circumstances of the crash. Negligence may be shared by the driver of a passenger vehicle and the truck driver, or just one or the other. If you have a loved one who was severely injured in an underride truck accident, our lawyers can help. We will go over your case with you and hold the liable party accountable for their harmful act of negligence. For more information about truck accidents and your legal options following a serious collision, be sure to contact an experienced injury accident lawyer today. The attorneys at Foley Law Firm are here to help. You can reach our office in Scranton by phone at (570) 342-8194 and our Stroudsburg location at (570) 424-1757.